To my core, I am an American first and foremost. However, just as proud to be a 4th generation Texan. On earth, as it is in Texas!!!!!!! Living in the western public land states opens up more opportunities than can be accomplished in several lifetimes, without repeated trips to one piece of ground, hiking the same trails over and over and over, or repeatedly camping in the same sites. Recently spent several days in the Gila NF, very near but not in the wilderness. One photo (below) of a high point on a county road through the forest. No crowds, no fees, camped where I wanted. In four days I saw only one USFS employee who merely waved as he went by. Rarely even saw other vehicles. No crowding and no one (official or otherwise) to bother anyone. The first morning the temperature was 30 degrees until the sun rose. Awesome country. Try it, you'll like it. There's a lot to be said for variety of experiences. 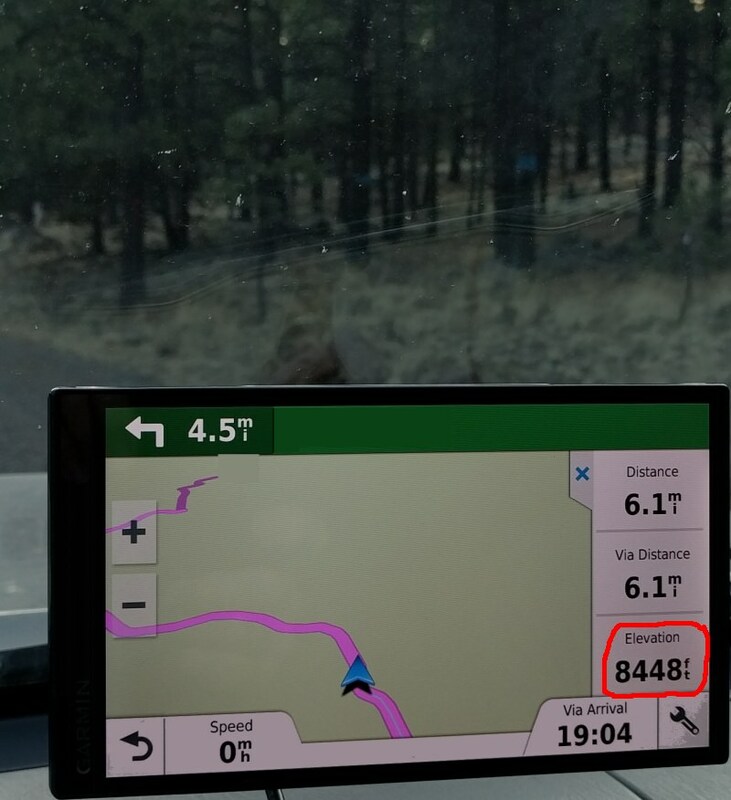 RichardM got a taste of that kind of freedom in the national forest after he took advantage of a Grand Canyon NPS suggestion he camp on USFS land.